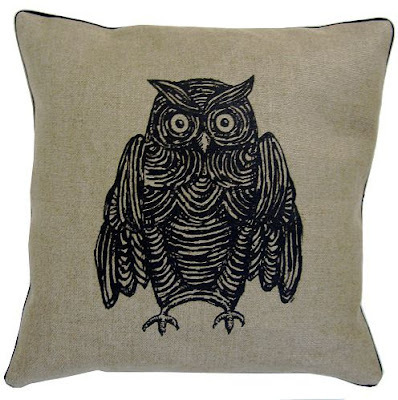 Pure Style Home: The Owl Trend: "I like it." The Owl Trend: "I like it." I also love these (found at http://www.etsy.com/shop.php?user_id=5199545) by Retro Mama. Totally could be ina baby boy's room! I love it in both white & black & there are other gorgeous colors too. ONly $28!!! I think they'd make great Christmas gifts.. 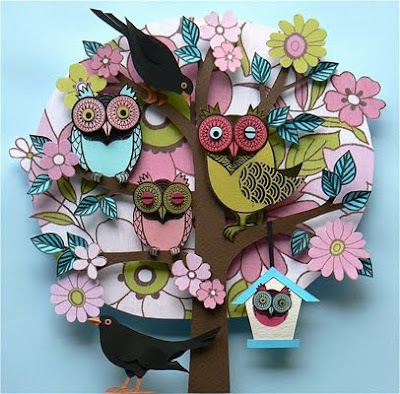 Anyway, I think it's pretty clear that I'm hooked on owls so I'll be joining Julia at Hooked on Houses for her VERY LAST HOOKED ON FRIDAYS BLOG PARTY!! Have an awesome weekend and thank you so much to everyone for all the touching comments yesterday!! Congratulations to a few of you who are celebrating anniversaries right around now too!!! I adore owls... I must have got it from my aunt Dee... she loves owls too and now they are all over the place. 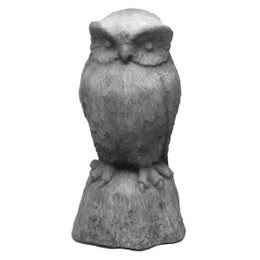 Owls would be perfect for a nursery... we have a couple in ours. 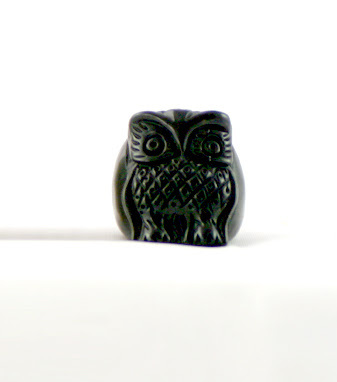 We even have an owl in the middle of our address stamp... thanks for doing this post, now I can check out all the owls I may have missed! saw an owl ring that i HAVE To have!!! 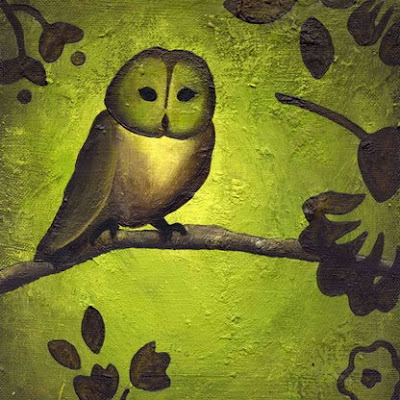 I am owl-crazed so I am LOVING this post! I have a collection of owls, and it has become such an obsession. I was trying to curb myself a little, but now I see a few more that I just HAVE TO HAVE!! I have seen owl everything lately- you are right. Owl earrings, owl rings, owl umbrella holders...they are all so cute! 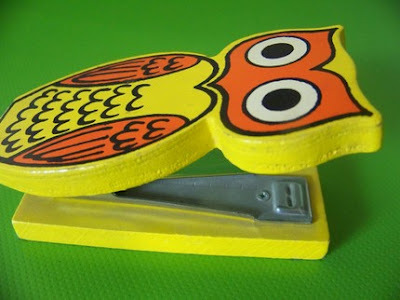 There is something very retro about owls. I am loving the owl nursery theme. I have always had a soft spot for owls. We had a lot of them around our house in the country when I was little. I always loved the symbol and had an owl stuffed animal too. Love all these owl things. I think it is their huge eyes that make them look so cute. 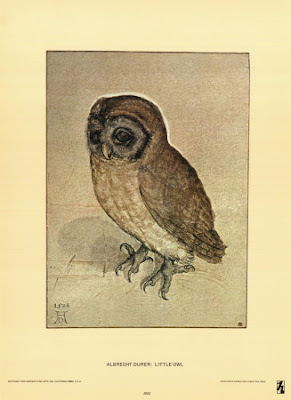 I am buying that owl print by Albrect Durer soon - along with the hare - but waiting til Christmas since I am all "spent out" after our trip. Good luck with the nursery decor - have you posted anything yet? Owls would be a pretty addition! 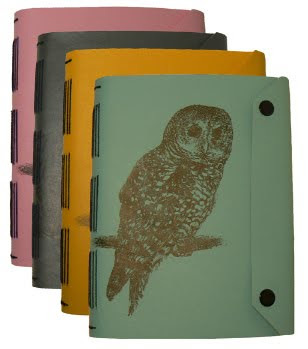 Lauren I love your e-colection of owls!! 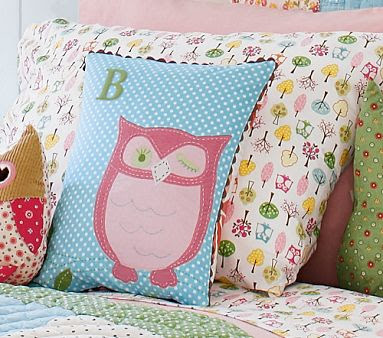 And yes, I think you should design your new nursery around the owl sheet set and owl stuffies. Love them!! 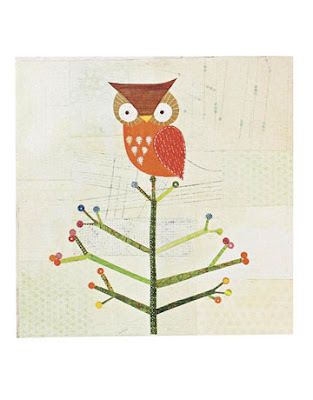 I think my favourite of all the things you've shared would have to be - hands down - the owl tree textile-collage. FAB! 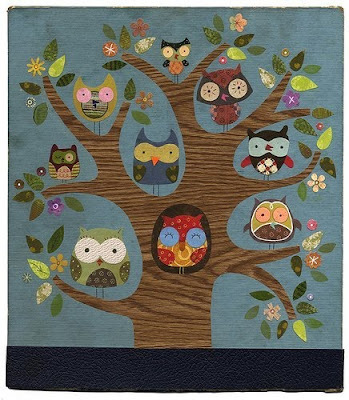 It would be like a "family tree" hanging in your babies room... each owl could represent a member of your family. So sweet!! Speaking of nurseries... my sister just had a baby and in celebration, I put together a post about nurseries for today's Hooked on Friday's blogparty. I hope you'll drop by and see what there is to see... maybe there's something that could work with owls?! Owls are everywhere. 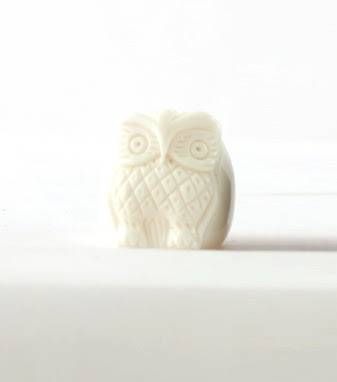 Last year, I bought a white owl that a lot of people think is kind of creepy but I LOVE it! He's been on our mantle and now he currently resides on the ground by our fireplace. Eeeek, Owls. Those owl rings are so precious...love it all! Used to find owls for my late BIL. He was an ag prof and they were the agriculture fraternity symbol. Oh! So many gorgeous owl pics, I am in love with that collage, and those pretty sheets, Have a wonderful weekend! 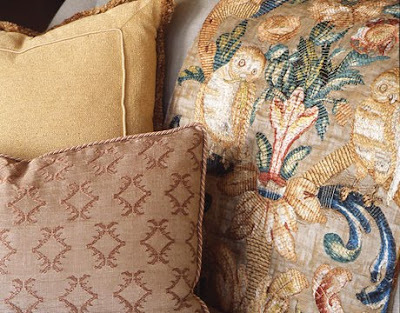 She has others where you can pick your fabric, too. I ordered a bag from her and she does great work! You are a hoot...sorry, I couldn't resist! 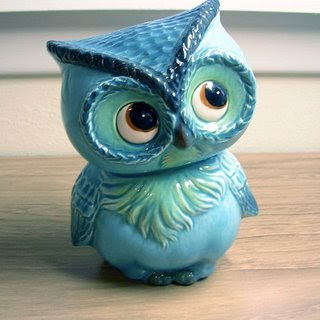 When I was in my late teens I collected owls-I so wish I had them so I could pass them on to you. My high school mascot was an owl and NOW they have cool owl stuff! Rewind ten years, please! There was an owl in a tree in front of my office building last week. I didn't see it, but a couple of people took some pictures. I'll e-mail a couple to you if you're interested in seeing them. 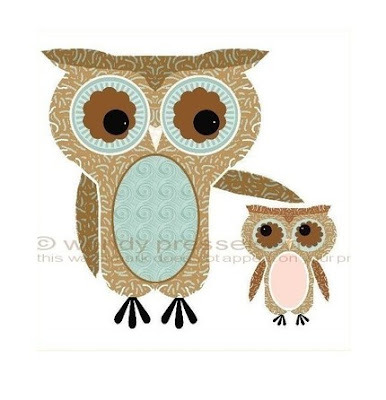 You should contact the Etsy seller and see if he/she can make you a mom & baby owl print. How funny, I was only noticing yesterday that owls are popping up all over! I liked these sheets at Garnet Hill and I also noticed some (rather pricey) Owl Giclee Prints at Ballard Designs. I'm loving owls lately. I esp like the 'kid' ones that you posted. So cute. *sigh* I love your blog Lauren. I never know what I'm going to find when I get here. Since I have a soft spot for cute faces, I was so happy to see all those adorable stuffed owls! What a lot of great owls you found! I especially like the Linda Solovic collage snd the art under it was originally from Anthropologie I think--love it! 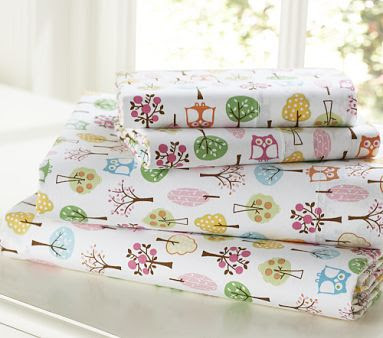 And as cute as that first fabric is, don't the owls look like you're about to play foosball with their little heads? I love owls, too! I only have two, but when my 19 month old granddaughter comes over she wants to give them kisses. I love how she says "ow-elle". So cute! 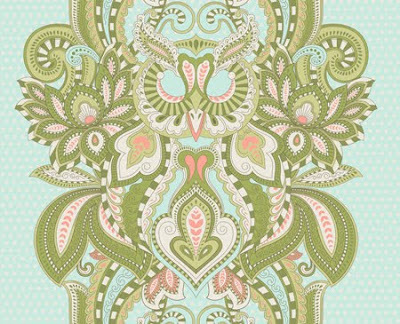 I just bought owl euro shams at West Elm, and love them...ya, definately a trend :) Your house looks wonderful Lauren! You must be having so much fun! What a collection! And all of them well-designed and funny! 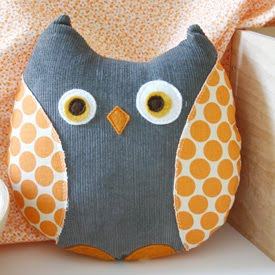 Just got a Garnet Hill catalog in the mail and they have lots of cute owl wares! i love owls too. 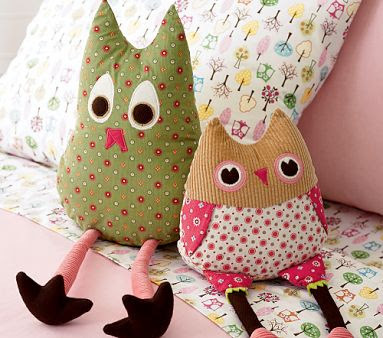 baby owls are ADORABLE to use in a nursery! love all the cute owl stuff you posted!